The team here at Silversheet has been busy bringing new features to our platform this year, many of which are already live on our site. Although we’ve put together blog posts to announce some of the biggest features, there are lots of little improvements that we also wanted to highlight for you. This post is a little long, but gives a good overview of what we’ve been up to so far in 2017 and what it means to you! This blog post is organized by section in Silversheet, so that you’ll easily be able to identify what will be most helpful for you. If you’re not sure how one of these changes will affect you, or if you have an idea for how we can make something you see here even better, don’t hesitate to get in touch and let us know! In the past, when you tried to add a provider who has already been added to your account, they didn’t appear as an option. This could be confusing when you didn’t account for providers who may have been previously archived or there are multiple users working in an account, so we added a simple solution - an indication that a provider is already added to the account. You’ll be able to review the information they’ve submitted by clicking on the blue button, and can then either accept it to add to their profile, or keep the information you’ve already entered in that space. 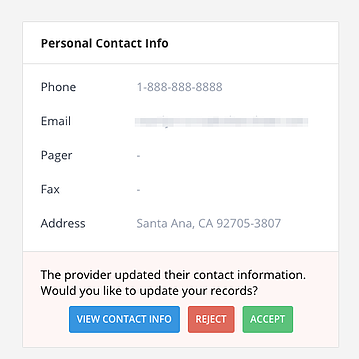 If you haven’t added any information to their Contact Info card, the information they enter will automatically populate in those fields. This spring we saw a major redesign of our Appointments & Privileges page to streamline the workflow surrounding initial appointments and reappointments, which you can read all about on this page. More recently, we also released a new Letter of Appointment feature that allows you to generate and share a letter of appointment from inside of Silversheet. We’re excited about this new, time-saving tool! We recently rolled out our brand new CDS License card for the Credentials section, but that’s not the only change we’ve made to Credentials so far this year. Many providers are licensed in multiple states, so facilities can now request that we turn on an option to store and track multiple state licenses for their providers. To complement this update, we also updated the provider side of Silversheet to allow them to add state license information for more than one state in their credentials section. If you’d like to have multiple state licenses turned on for your account, get in touch with our customer success team and let us know! Earlier this year we made a minor tweak to the document upload process for items that need to be verified by consolidating the primary source and primary source verification steps into a single page. This little change immediately reduced the amount of time spent waiting for pages to load, and has been a big hit with our implementation team. In the past, you had to select a medical school from our pre-populated list of credentialed institutions in the United States. 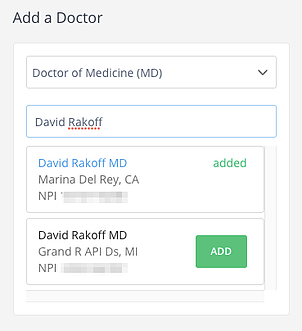 This didn’t account for doctors who were trained overseas, so we updated that card so you can now select from one of those schools or type in a different school, your choice! Clients love that we automatically verify state medical licenses for MDs and DOs, so to test the water for other provider types we recently started the process of supporting state nursing license verifications for CRNAs. These verifications are only available in a handful of states right now, but we’re looking forward to rolling this out over additional states and provider types in the coming months. Official Facility Documents Are Here! In a major update to the Facility Documents section, we’ve added what we’re calling “Official Facility Documents,” which allow you to require a document across all your providers, even if it isn’t covered elsewhere in Silversheet. In the past, you had to re-enter the facility document information for each provider (and remember to enter it! ), but now you’ll see your official facility documents appear top of the facility documents section. This year brought a major revamp of the Health Documents section in Silversheet, with more flexible options to meet your facilities needs for credentialing. You asked, and we’ve delivered! Now, when a provider screens as positive on a PPD test, the option to log a chest x-ray will automatically appear on the Health Documents page. From the Settings page you can also indicate whether chest x-rays at your facility need to be renewed and on what time frame they should be renewed. Managing seasonal requirements including flu vaccines is a big project for facilities each fall, but we’ve added additional settings for these documents to help you manage those documents on your schedule. You can now set a date when you’d like to be reminded to start collecting flu documents, as well as a due date for you and your providers. Because some facilities only request health documents like a TB Screening when a provider is initially appointed, we’ve added the option to make Flu and TB documents either renewable or something that is required only one time. As with all the new health document settings, let us know if you’d like help getting these configured for your facility! Our OIG Continuous Monitoring is a feature that credentialing managers are always excited to get set up for their doctors, allied health providers, and nurses. 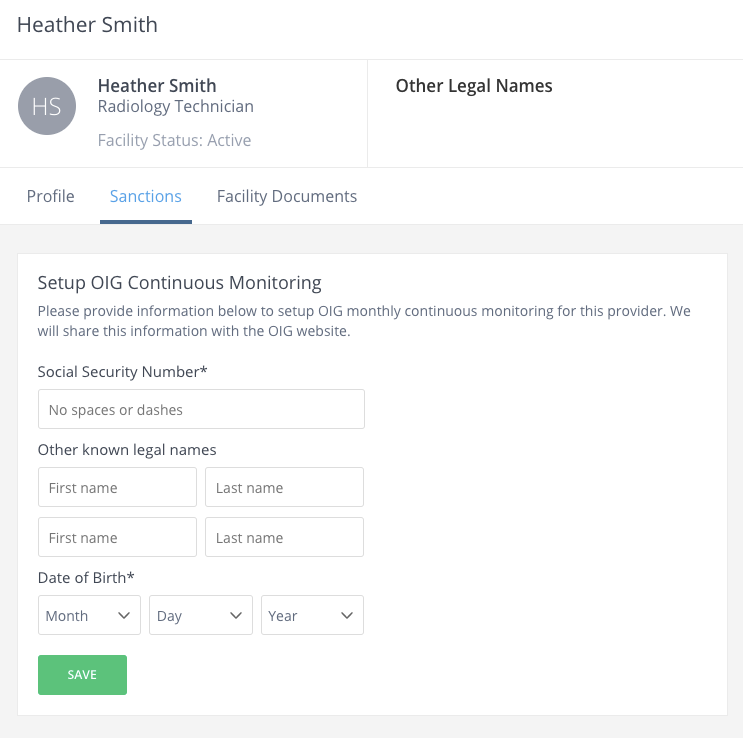 To help you save time managing additional provider types, we’ve added an OIG Monitoring option for providers listed in the Other Staff section, too. This is already available in your account, and is just as easy to get set up! We know what a difference reports make in managing credentials across a large group of providers, so we've focused our efforts on improving what we already offered, and adding new and improved reports to your Silversheet toolkit. With an increasing number of documents that are tracked in Silversheet come an increasing number of questions about the status of those documents. Coming into 2017 we had two reports, the Appointments Report and the Expirations Report, both of which could help identifying issues that might be just over the horizon of the Expiring Soon bucket. We’ve updated these two reports to make them a bit more useful, including a longer period of time over which you can view expirations (up to two years) and the ability to run a medical staff roster report through an Appointments Report that will “Show All” appointed staff. To these two existing reports, we’ve added two more to help you get an even better picture of the health of your credentialing files in Silversheet. The Missing Items report is great for identifying specific items that might be missing from your credentialing files on a provider by provider basis, and the documents report allows you to see all providers who have a particular type of document on file. Let us know if you have questions about these new reports! A big change we made this spring was moving eight provider types from the Other Staff section of Silversheet into the Allied Health and Doctor areas. This change means you now have access to more complete profiles for these provider types, as well as giving those providers the ability to sign up for provider accounts to be a more active participant in the credentialing process. You can learn more about this move in this blog post. As you can see, we’ve made a lot of changes and improvements this year, and there is lots more to come. Keep an eye on our blog for more updates later this summer, or reach out to our team to set up some time to walk through these updates in your account.